Aidan is upset about his family moves. Lonely and restless, he ventures into his Grandfather’s basement in search of adventure. He doesn’t expect scrolls to magically appear, but they do. When Aidan chooses to believe what the scrolls say, he becomes part of an adventure bigger than he ever imagined. He enters the land of Alleble, and joins the Glimpses of the realm in a fight against the evil Lord Paragor. Can a teenager from the Mirror Realm save many from death? Great book! 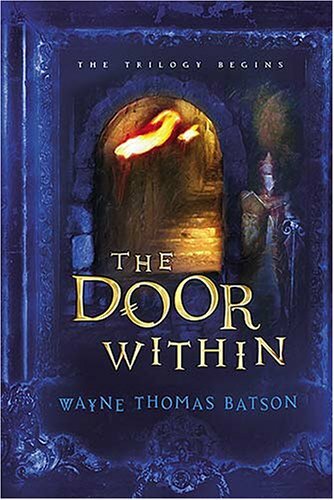 I highly recommend The Door Within and the other two books in the trilogy. I read all three of them in a week! The Door Within gets off to a little bit of a slow start, but stick with it. It gains momentum through the whole book (you won’t be able to put it down), and the beginning is important in the grand scheme of things. Allegorical components add rather than distract from the story, and there’s no magic to worry about.